APC said in a statement yesterday signed by the state Publicity Secretary, Mr. Doifie Buokoribo, said the resolution of the assembly on the supposed incessant posting of new police commissioners in the state is coming a few days after Dickson made a similar criticism, a situation which the party insists showed that the assembly had become a gathering of liveried footmen for the governor rather than servants of the people. 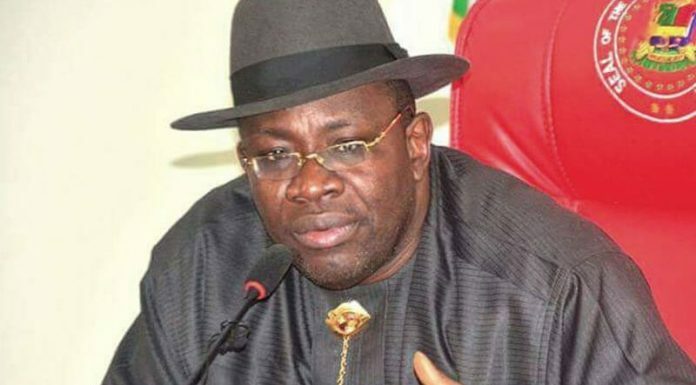 Buokoribo accused the assembly of mischievously opposing a constitutional security arrangement simply because it denied them the room to repeat the electoral fraud they perpetrated to win the last governorship elections in the state. The APC said the resolution of the â€œassembly is a deliberate and unnecessary insult to our collective intelligence. â€œBy this resolution, the state assembly has shown its complete lack of legislative independence and respect for the rule of law. The assembly has once again proved to be a poodle of Dickson. We note that this resolution is coming only a few days after the governor expressed similar sentiments at a Peoples Democratic Party (PDP) event. The PDP National Publicity Secretary raised these same concerns recently. â€œTo begin with, matters about police affairs are on the Exclusive List. They are federal matters on which a state House of Assembly cannot legislate. It lacks the jurisdiction.